Up to 80% of the cost of a products development is determined by the decisions you make early in the design process. Upfront simulation is digitally exploring design concepts and testing critical design choices early in the product lifecycle using simulation. Upfront simulation gives you the information to make informed decisions, reduce costly physical prototypes, and avoid unworkable designs down the road. Upfront simulation helps you bring innovation to market faster and less expensively. 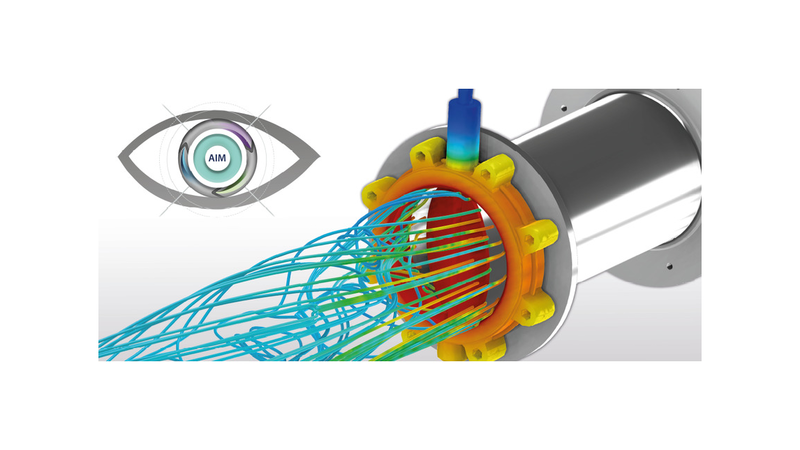 ANSYS AIM makes upfront simulation easy by combining intuitive, guided workflows, accurate simulation results and optimization in a complete simulation tool. Integrated geometry modeling based on ANSYS SpaceClaim technology helps you create new 3-D concept models, or edit/repair existing geometry. Whether a simulation includes electromagnetics, thermal, structures, or fluids or combinations thereof, all aspects of simulation workflow are included in the single-window design, which enables you to predict complete product performance with results you can trust. AIMs powerful parametric and optimization capabilities can automatically explore the design space thoroughly and find the best design faster. ANSYS AIM makes it easy to deploy simulation throughout an engineering organization. You can customize AIMs user interfaces to comply with your companys standards for simulation, and create simulation templates for your unique industry applications. Because AIM includes fluids, structures, thermal and electromagnetics simulation capabilities, engineers only need to learn one tool, reducing training time and costs.